Perspective is one of the most effective ways of adding sense of a distance to any image, apart from the depth and is a strong compositional method. 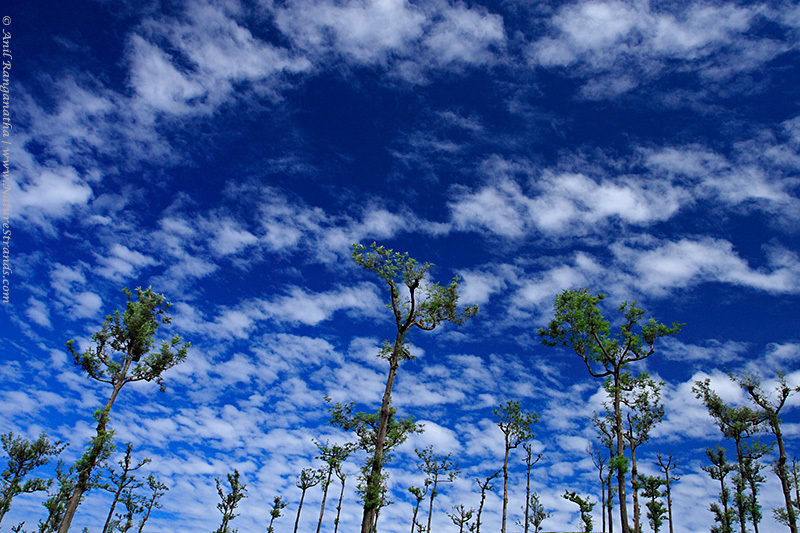 I have tried to portray the tall trees with a cirrus cloud studded sky in the background. As the trees grow into the sky, image width is progressively reduced. There is a sort of reduction experienced by the viewer, caused by perspective. This implies that the size of an object is proportionally reduced as the object becomes increasingly distant from the viewer. Try this composition next time when you are on the field.